Homeschool is changing! I know that you as a homeschool leader see those changes. In her 2012 book Home Is Where the School Is, sociologist Jennifer Lois broadly divided homeschoolers into two groups: first-choice and second-choice homeschoolers. A 2017 Pioneer Institute whitepaper characterized the groups this way: “The ‘first-choice’ family is in essence the traditional homeschooling family, viewing homeschooling as a lifestyle and an integral part of a student’s growth. As more people start homeschooling for different motivations other than as a lifestyle, raising life-long learners, or faith, how does your group adapt? Are you accommodating the parents who are just looking for a stop-gap solution? Share your ideas in the comments or join the I Am a Homeschool Group Leader group on Facebook and leave a comment. 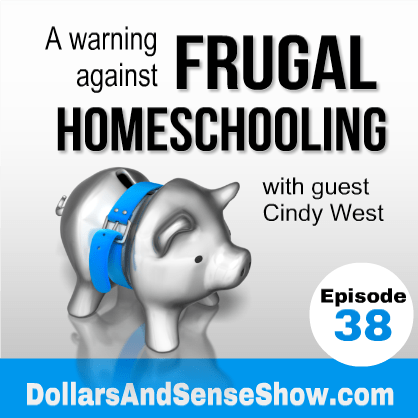 I read Cindy West’s blog post Warnings Against Frugal Homeschooling on Our Journey Westward blog. It caught my attention. What could possibly be wrong with frugal homeschooling? Cindy opened my eyes to potential problems in using all free materials (or too many freebies) in homeschooling. Cindy West is the author of NaturExplorers nature study guides and Charlotte Mason Homeschooling. Find them at Shining Dawn Books. Could you please give me a minute (and review my books)? Have you benefited from reading any of my books? 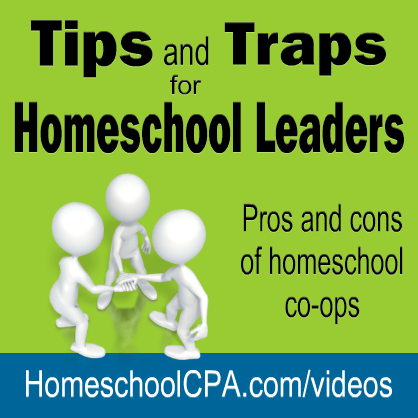 Did Homeschool Co-ops: How to Start Them, Run Them and Not Burn Out make starting co-op a little easier? Did the information in The IRS and Your Homeschool Organization get your organization tax exempt status? Essential for running a homeschool organization. Here’s the links to make it easy for you. Homeschool Co-ops book the original edition had 16 reviews, but this new edition has only 5 reviews :(. It needs a boost. I appreciate your time and effort! Congratulations to two homeschool organizations that recently received tax exempt status with the IRS! Homeschool Teen Serve is a charitable organization encouraging service projects performed by homeschool teenagers headquartered in Omaha, NE. I was happy to help both these organizations receive 501(c)(3) tax exempt status for the IRS. 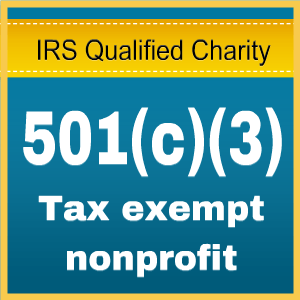 Do you know the pros and cons of 501(c)(3 status? Do you know what 501(c)(3) status could mean for your homeschool group? 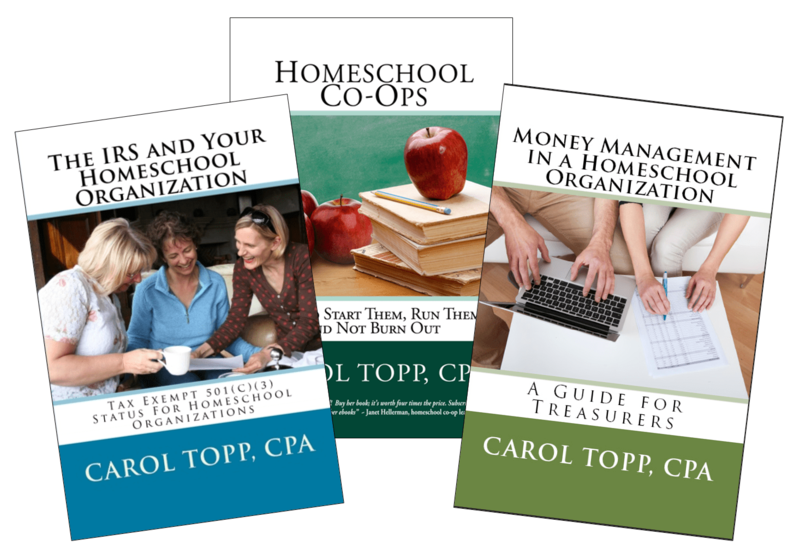 My book The IRS and Your Homeschool Organization could help your group as well. This 120 page book explains the pros and cons of tax exempt 501(c)(3) status. Is it needed? Is it worth it?